Linfox has announced the successful commencement of its operation of the former Aurizon Queensland Intermodal Business (QIB), with the first Linfox-managed train departing this week from Brisbane to Mackay. Linfox’s integrated road, rail and sea services will provide a safe and efficient delivery of goods to market into and out of North Queensland. 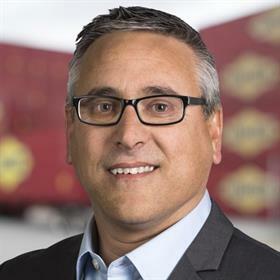 "Linfox has secured the continued employment of almost 200 former Aurizon employees, along with supporting suppliers and businesses, to ensure service continuity for our customers," says Mark Mazurek, CEO of Linfox Logistics Australia and New Zealand. "A recruitment campaign has also begun, with new jobs advertised to allow us to expand on the existing services." "The acquisition is the culmination of two decades of effort by Linfox to expand its rail network in Far North Queensland and allow us to actively leverage our assets to better service our interstate customer base as well." In October, Linfox reached an agreement with Aurizon Holdings Limited to purchase QIB. The terms of the deal were not announced at the time.